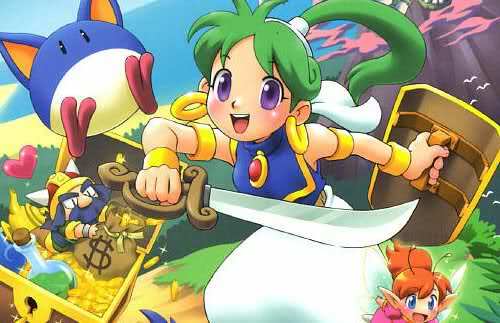 SEGA have confirmed that they are to bring two new additions to the Wii’s Virtual Console service next week across North America. This will be two entries from their classic Wonder Boy franchise: Wonder Boy in Monster Land, and Monster World IV, the latter of which being released for the first time ever outside of Japan. Each will be priced at 900 Wii Points. Wonder Boy in Monster Land sees a kingdom thrown into chaos by a fire-breathing dragon who, through the aid of his henchmen, aim to create their own Monster Land. As the kingdom’s people pray for a hero, Wonder Boy answers their plight and sets out to conquer dungeons through the use of powerful weapons and spells. Monster World IV is the final chapter within the series, and was one of the first games to feature a female protagonist. In the role of Asha, a young adventurer, you must venture into Monster World alongside your amorphous pet Pepe and magical Genie to save the Elemental Spirits from the clutches of evil. Wonder Boy in Monster Land and Monster World IV will release through the Virtual Console service on May 10th.